Third time was charm for attorney’s trek on El Camino trail - The Resident Community News Group, Inc. | The Resident Community News Group, Inc. 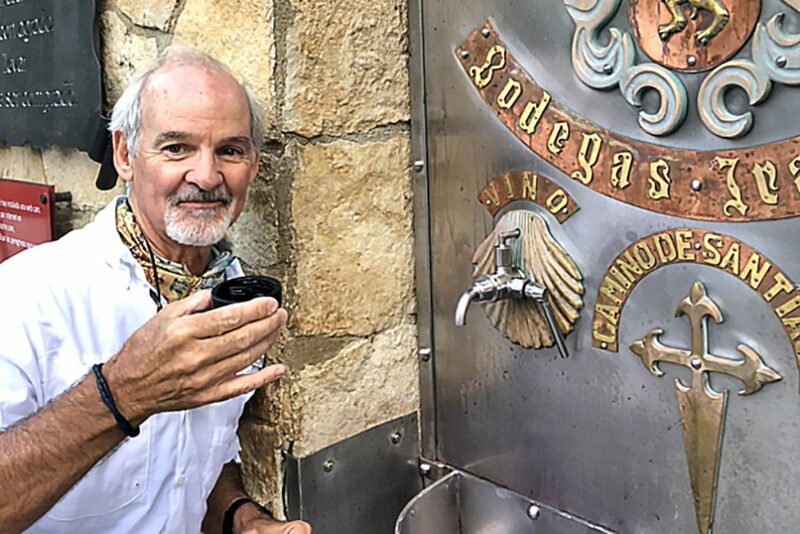 It was not all tedious walking, as evidenced by this photo, taken at 8:30 in the morning, of McDermott drinking red wine at a winery along The Camino. The owner had a spigot built into the wall that dispensed a glass of red wine to any traveler who wanted to partake. “I’m Irish, so, of course, I partook, even if I came across it at 8:30 a.m.,” McDermott said. It took two tries, but El Camino de Santiago’s lure finally captured local attorney and Ortega resident Tim McDermott. “I had heard about the El Camino a number of years ago and always thought it would be an interesting experience, if the time and opportunity presented themselves,” said McDermott, a business litigation and civil trial attorney with Akerman LLP. 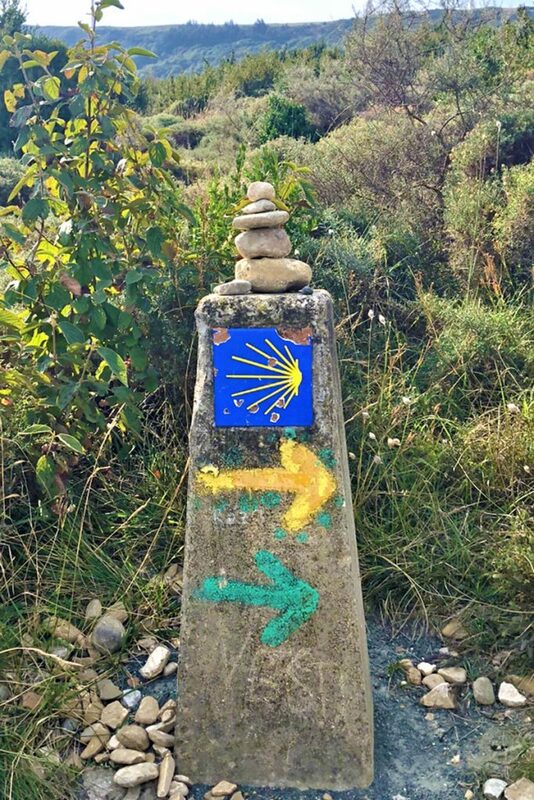 In 2017, two lawyer friends from his early years practicing law and living in Milwaukee asked McDermott to join them and four of their friends in walking the last third of El Camino into Santiago de Compostela, where El Camino ends. Unfortunately, his schedule didn’t allow him to do it, and he passed on that chance. 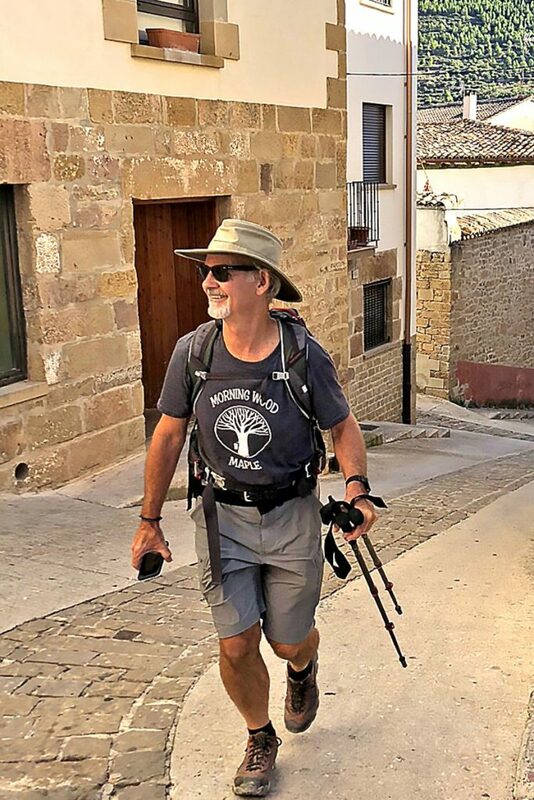 When the same friends called him in early 2018 and asked him to join the six of them in walking the first third of the French route of El Camino starting in Southern France in the fall, he decided to make the time. He walked close to 225 miles of El Camino’s total 500-mile length over 16 days. “It was two of the most enjoyable weeks on vacation that I have spent in many years,” he said. All hikers in the group received a T-shirt from a Canadian hiker whose brother owns a maple syrup company. This isn’t the first time McDermott has hiked. He recalls the summer of 1972 when he and his late wife, Mary, were newly married and fresh out of college. “We backpacked across Europe for seven weeks and had an absolute ball,” he said. “We had no money, slept on beaches in Spain and Italy, parks in Amsterdam and hostels in Germany, Austria, France and Italy, living on bread and cheese and beer.” When they got off the plane in New York, they had one dime in their pockets. McDermott and friends began their trek in Saint-Jean Pied-de-Port on the French side of the Pyrenees and traveled on to Roncesvalles on the Spanish side ending their trip at Burgos, Spain. The trail, which goes through four of Spain’s 15 regions, is named for Santo Iago (Saint James), an apostle and brother of Jesus, and who is said to be buried under what is today the Cathedral of Santiago de Compostela in Galicia. Beginning in the ninth century, religious pilgrims would travel to the apostle’s resting place, seeking forgiveness for their sins. Now El Camino beckons all types, many seeking spiritual discovery. To prepare, McDermott downloaded a book about suggested do’s and don’t’s when walking El Camino, bought the best pair of hiking boots he could find, and broke them in while walking with his Ortega walking buddy, Jane Arnold, to build up some stamina.